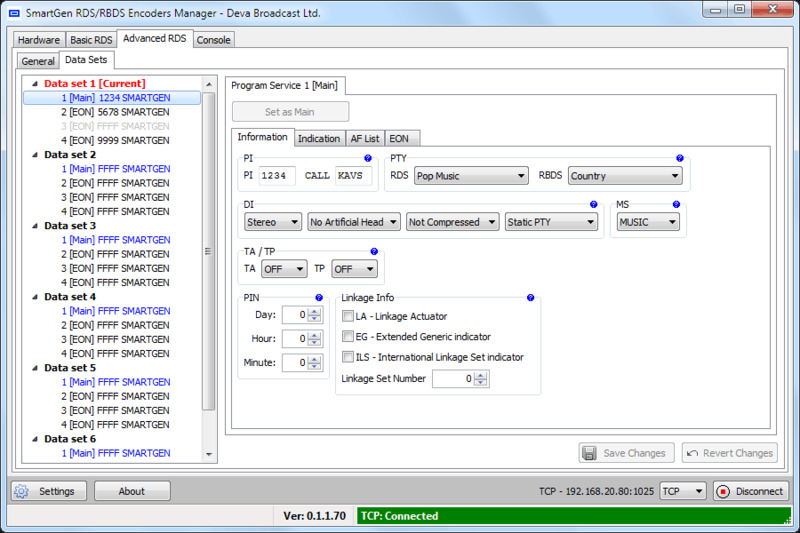 The SmartGen 5.0 encoder has all the features you would ever need from an RDS encoder at a fantastic price. 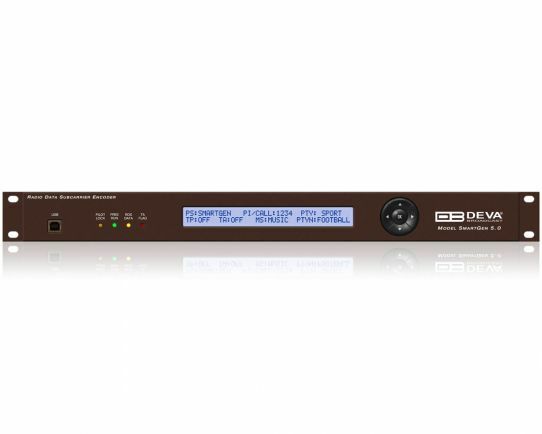 SmartGen 5 supports all RDS Applications in conformity with European CENELEC and United States NRSC standards and is fully compatible with UECP EBU SPB490 Version 7.05. 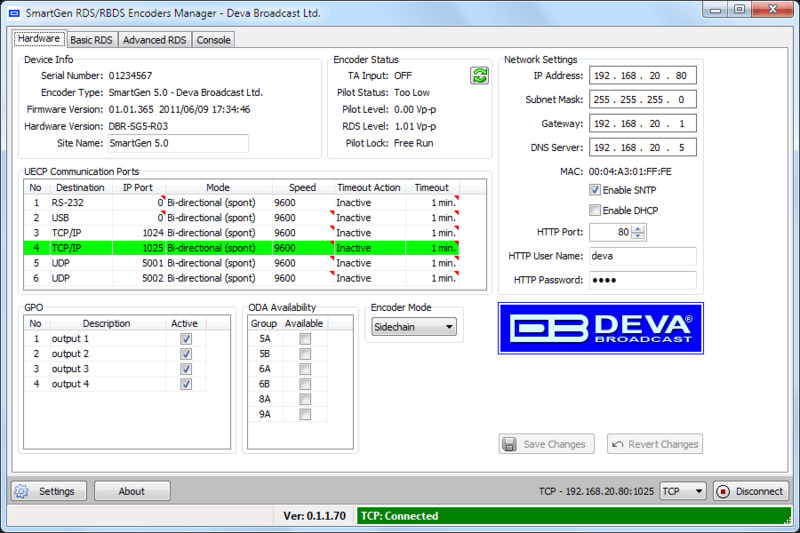 By DEVA Broadcast. The interactive function RT+ for song tagging is fully supported without a compromise. The SmartGen 5 can 'parse' scrolling text, automatically breaking phrases into word groups. 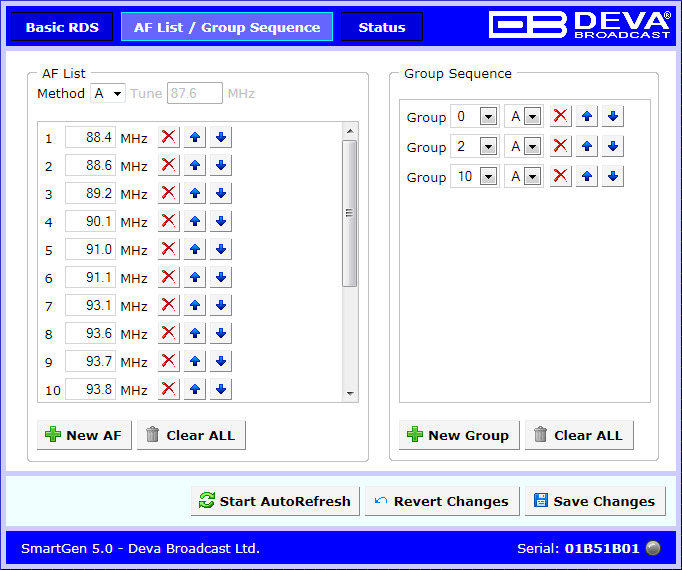 Based on the latest RDS technology, the SmartGen 5 is fully digital design for 24/7/365 operation. The SmartGen 5 is cost effective solution for sending TMC and EWS Services. 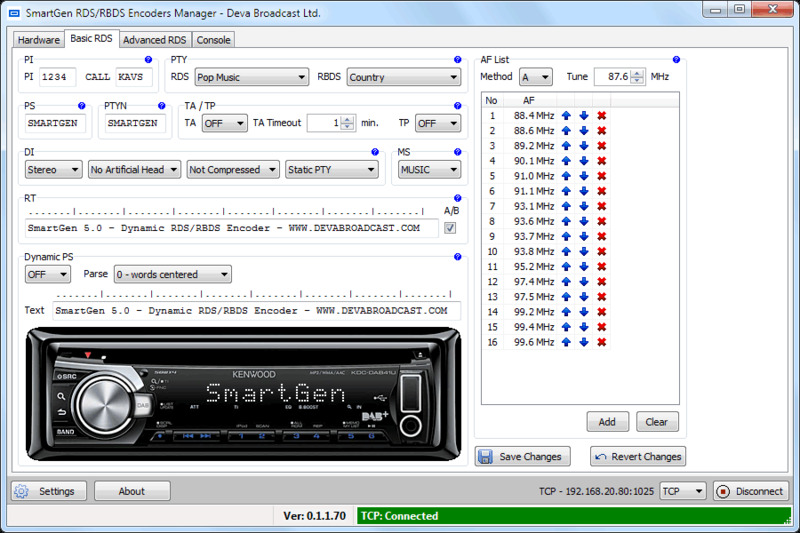 The front-panel LCD displays setup parameters without the need for an on-site computer, and also shows incoming raw data from station automation as well as exactly what the listener sees on his radio. 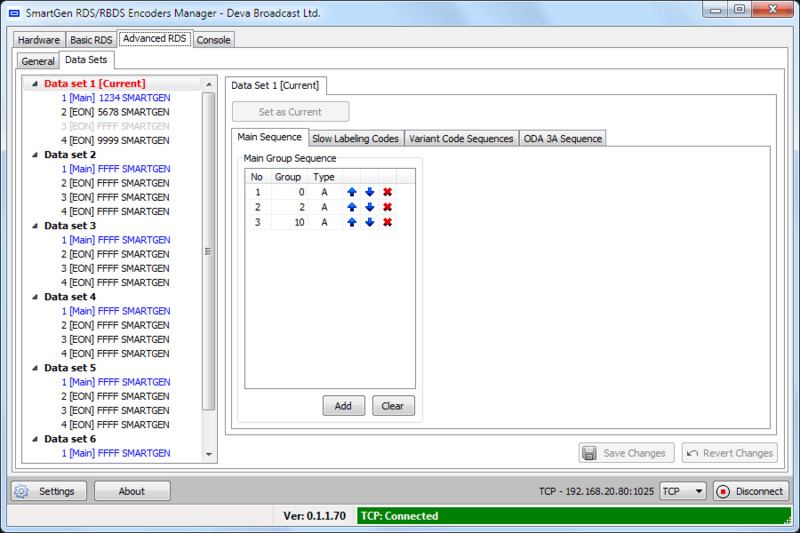 Supplied with free of charge, dedicated programming software “SmartGen RDS/RBDS Encoders Manager” this encoder programming is simple and foolproof like never before. 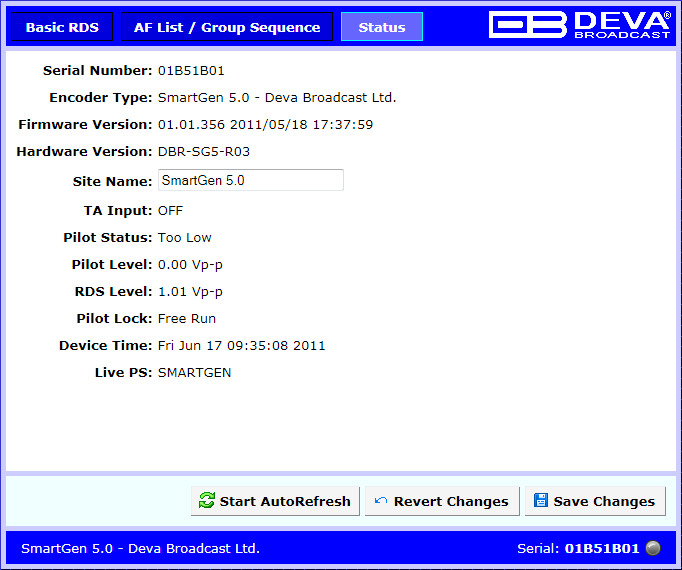 SmartGen 5 comes along with Embedded WEB Server for remote and easy programming and supervision. 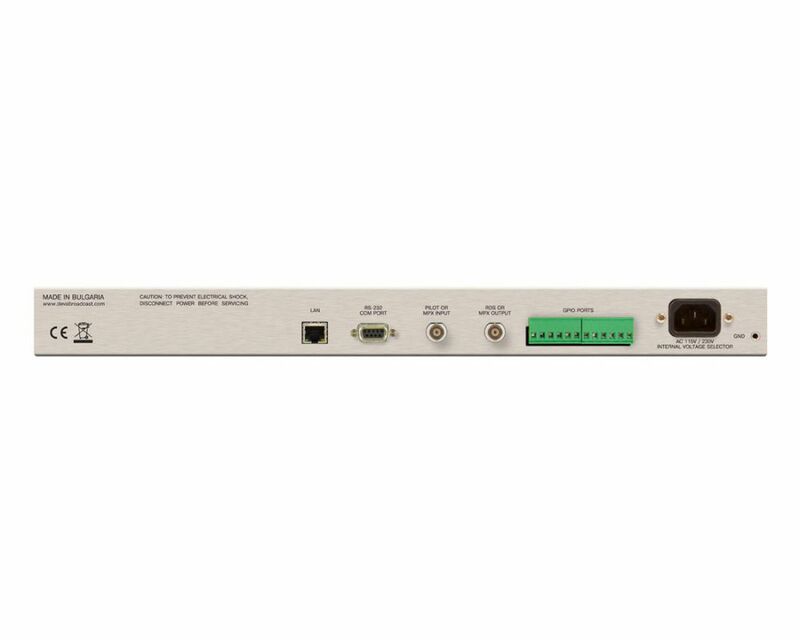 SmartGen 5 gives dynamic programming access with its built-in RS232, USB, TCP/IP, UDP/IP interfaces. 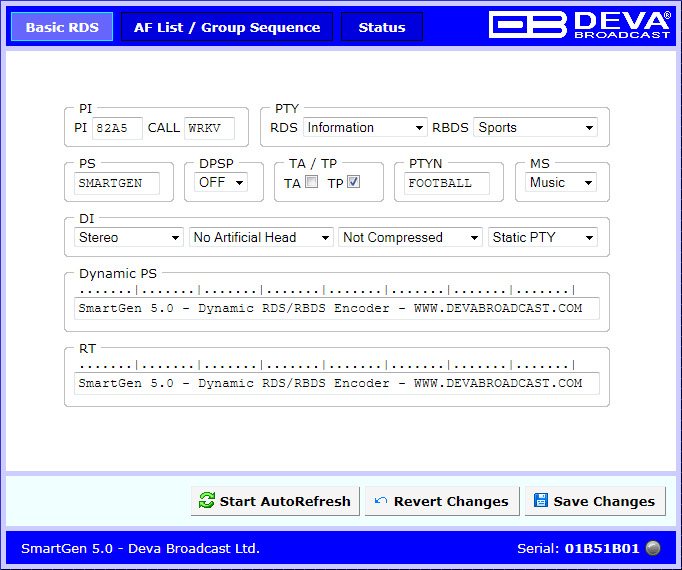 This connectivity permits full integration of RDS/RBDS transmissions with the station’s other networked functions like message streams for Webcasting or Digital Radio. The SmartGen 5 encoder provides a full loopthrough interface for connection to your existing broadcast chain.